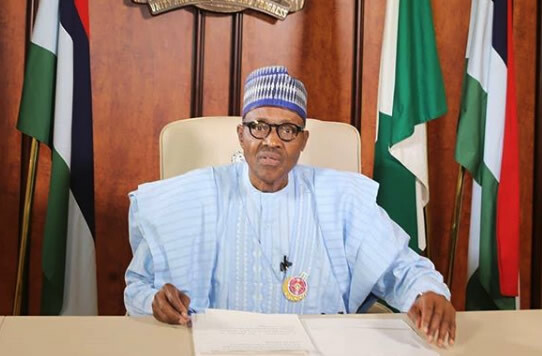 “As a President, I HAVE SOURCES OF GETTING INTELLIGENCE ON HAPPENINGS ACROSS THE COUNTRY and so I should not be expected to always go out to the field to make noise and insult the sensibility of Nigerians before it would be known that I am taking actions against the killings. THERE WERE MORE KILLINGS IN MAMBILLA THAN BENUE AND ZAMFARA STATES. I chose to visit Taraba first, but I will be going to Benue and Zamfara after I return from Ghana to also condole with the people”—Buhari, March 5, 2018 in Jalingo, Taraba State "Therefore, it is wrong to say the conflict is between Fulani and Tiv or other tribes, like in Taraba. WHAT OF ZAMFARA, WHERE MORE PEOPLE WERE KILLED THAN IN TARABA AND BENUE PUT TOGETHER?” Buhari, May 1, 2018 in an interview with the VOA in Washington, DC. “I READ IN NEWSPAPERS THAT BOKO HARAM ARE STILL HOLDING TERRITORY. 1. Buhari’s claim to “have sources of getting intelligence on happenings across the country” is contradicted by his admission that he only learned that “Boko Haram are still holding territory” from “some newspapers.” (It’s actually Reuters, the British news agency, that reported it). How could he not know this as the chief security officer of the country? “What of Zamfara, where more people were killed than in Taraba and Benue put together?” In March, there were more killings in Taraba than Zamfara and Benue combined, according to Buhari who has sources of getting intelligence that the rest of us don’t, but two short months later, there were more killings in Zamfara than Benue and Taraba combined? LOL! Apart from the absurdity of hierarchizing killings while doing nothing about it, what’s the point of these lies? You see, if you tell the truth, you don’t have to remember it because it’s constant. It never changes. If you’re asked to repeat what you said several times after the fact, there will be no contradictions. But lies are never consistent because they sprout from the resources of a duplicitous imagination. That’s why an English proverb says liars must have good memories. Fortunately, they never do, and that’s why we catch them easily. Buhari has defiled “integrity” and “Mai gaskiyaness” in ways never seen before.